As the world cup season heats up, we take a look at how some sport-loving couples have put a creative spin on their soccer-themed pre-wedding photoshoots and weddings! 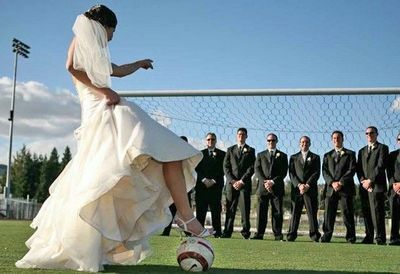 Have you attended or organised a soccer- or sports-themed wedding before? Let us know!